Huawei Watch was one of the most good looking, and premium Android Smartwatch. Many key players like Motorola and Samsung didn’t shed any light on any new smartwatches, but it seems Huawei has one in the pipeline. According to a new rumor, citing people familiar with the matter, Huawei is working on the successor of the smartwatch it launched last year, dubbed as Huawei Watch 2. The upcoming smartwatch from the Chinese company is said to come with a new design, a more sportier version of the smartwatch with a 42-mm timepiece with a round, 1.4-inch display and classic styling (available with either leather or stainless steel straps). 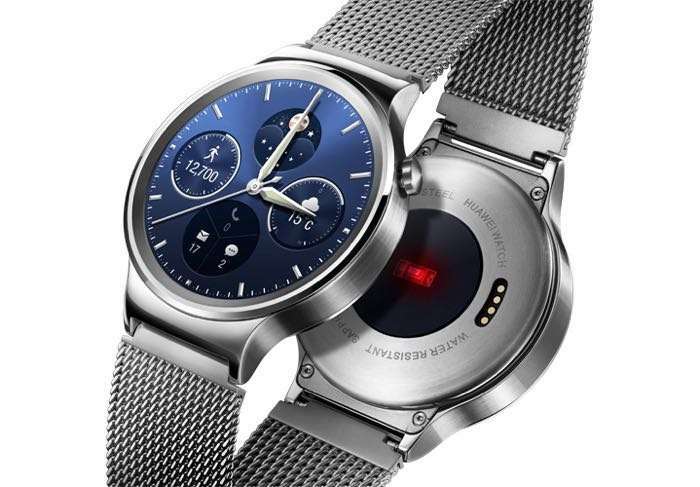 The new Huawei Watch 2 is said to bring a very important feature on board: cellular connectivity, which will enable data connections when the smartwatch is out of range of WiFi networks, along with the ability to make and receive phone calls. The rumor suggest that the company may showcase the smartwatch at the Mobile World Congress 2017, but there’s a possibility that Huawei may delay the launch sometime next month. We’ll update you as soon as we get any other information about the alleged Huawei Watch 2.